Samsung Galaxy Note 5 lowest price in Pakistan is Rs. 49,900. The price was updated on 18th April, 2019. You can read price, specifications, and reviews on our website. Samsung Galaxy Note 5 is the latest addition to the Galaxy Note series. It is the latest and greatest from the world’s biggest smartphone manufacturer. The phone is stunning and offers the latest hardware and amazing features. The Samsung Galaxy Note 5 looks familiar when you first hold it. It has inherited some of the design from the Galaxy S6. But the phone is a bit more than the larger S6. It has amazing curves on the rear side which make it easier to handle the big phone. The fingerprint reader is embedded in the home button which makes it easier to unlock the device. The bottom has the speaker grill, the Micro USB port, the headphone jack and the S pen. Because of the unibody and sleek design, the back of the phone is now unremovable and the battery is not replaceable. Overall, the phone is easy to use with one hand. Samsung continues to bring the quality in the camera department. The Galaxy Note 5 has a 16 MP, f/1.9 which is one of the best cameras available in the market. It captures stunning photos in any light conditions. The 5 MP front camera also provides a really good quality selfies. The camera can record 4K videos but if you record 4K videos, you won’t be able to take advantage of some enhancements like he video stabilization. The camera has all the usual modes as well, including everything from the slow motion to the new video collage mode. Ultimately, the camera on the Galaxy Note 5 is everything you want. Samsung Note 5 is the performance king. It has the highest AnTuTu score right now, even higher than the iPhone 6S. It comes with the latest, Exynos 7420 Octa chipset and 4 GB of RAM for serious multitasking. You’ll not feel the slightest lag on multitasking. All applications, including the camera, launch quickly. This is no doubt the fastest Android smartphone available right now. The gaming performance of Samsung Galaxy Note 5 is, of course, the best. It will give you the highest frame rate on all games, no matter how graphic demanding and heavy they are. - The latest price of Samsung Galaxy Note 5 was obtained on 18th April 2019. 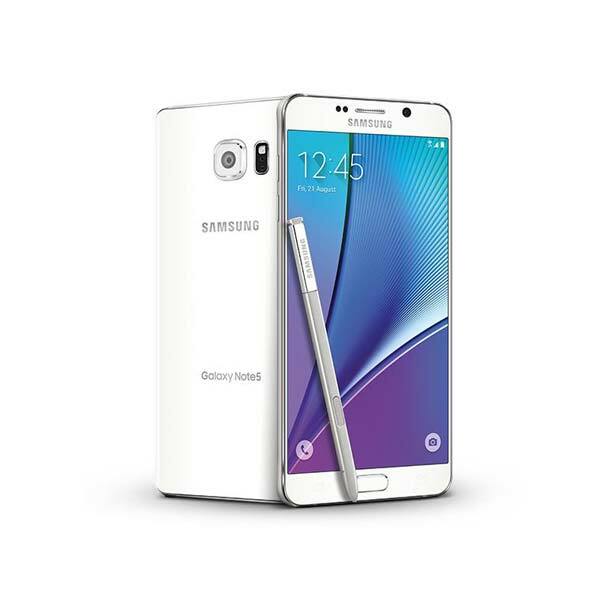 - Buy Samsung Galaxy Note 5 online in Pakistan for the lowest price. There are different payment options for online buying. You can also avail the options of Cash on Delivery (COD) and Online Credit Card Payment on purchase of this product.